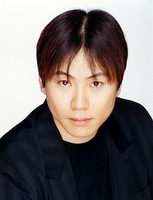 Toru Furuya has been announced as a guest of honour at this year’s Anime Revolution convention in Vancouver. 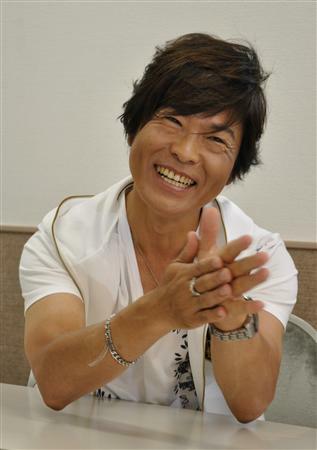 Anime Revolution welcomes veteran Japanese voice actor Toru Furuya as an official Guest of Honour. Mr. Furuya will be interacting with fans during panels and autograph sessions at the anime convention which is held in August 16-18, 2013 at the Vancouver Convention Centre. Fans may recognize his distinctive voice behind famous lead characters such as: Mamoru Chiba and Tuxedo Mask from the ever so classic Sailor Moon series, Yamcha from the all time favorite Dragon Ball series and movies, Amuro Ray from the original Mobile Suit Gundam series and movies, Pegasus Seiya from Saint Seiya, Suppaman in Dr. Slump, and Mario in various Mario video games. 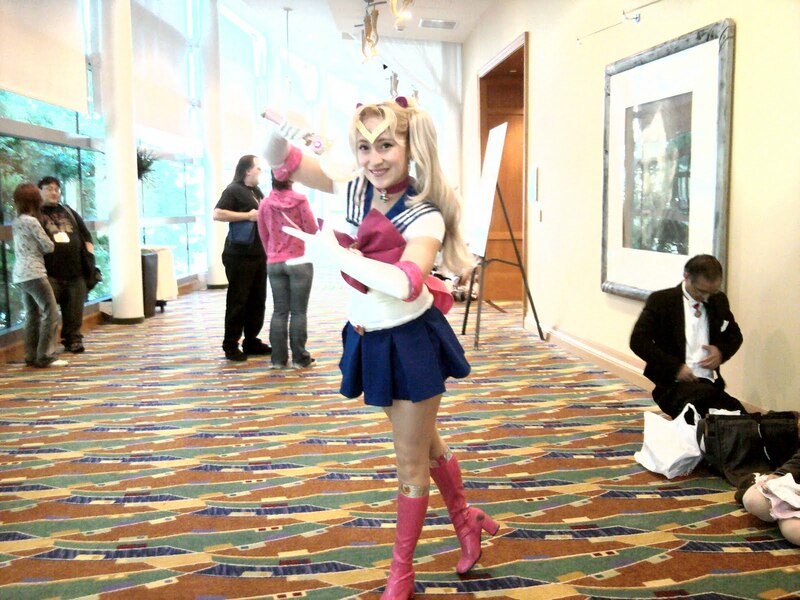 We hope fans will enjoy seeing the original Tuxedo Mask in Vancouver! Be sure to tell us about it if you are able to attend. Here are a few quick hits for you all! In Hong Kong, MTR began selling the last of their Classic Anime Series Souvenir Ticket sets on Sunday. The last set features Sailor Moon characters with the new branding! For $105 HKD ($13 USD), riders can get the entire set of all 3 souvenir passes, a specially designed ticket holder, as well as a keychain. Each pass is valid for a single ride on or before November 30th, and the pass will be returned to the owner as a souvenir. In Japan, Naoko Takeuchi has drawn a new Chibi version of Tuxedo Kamen to be animated in 3D for an RPG! He will be making an appearance in Level 5’s “Girls RPG Cinderelife”, an RPG where a player will be able to experience aspects of a typical girl’s life from work, to fashion, to shopping, and even a little dating. The really interesting thing to note on this screengrab we have featured for you is that Naoko Takeuchi PNP is the only copyright listed – so this is being done independently of Toei Animation or Kodansha (which is probably why this is a new drawing). 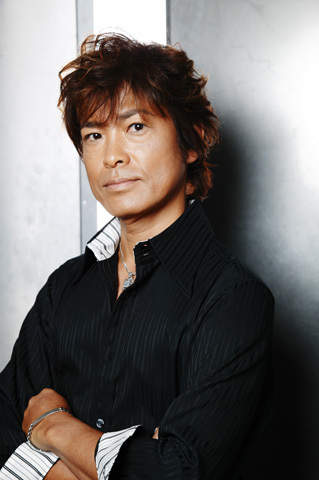 Reprising his role as the voice of Tuxedo Mask is none other than the original voice himself, Toru Furuya! Fans can check out a trailer here and the official site here. The game will be released in Japan for the Nintendo 3DS sometime next year. And who watched Saturday Night Live? Did anyone notice Anna Faris dressed up as Sailor Moon Cherry Cherry Rock and Roll? The skit this cosplay appeared in was “J Pop America Fun Time Now”, and Anna appeared at the end as Jennifer, a fan who had the largest anime video collection at Michigan State University. While this wasn’t the greatest skit, it reminded us of every otaku we have met that has pretended to know everything about Japan. Fans can watch this episode online at Hulu in the USA or later this week at Global TV’s site in Canada. 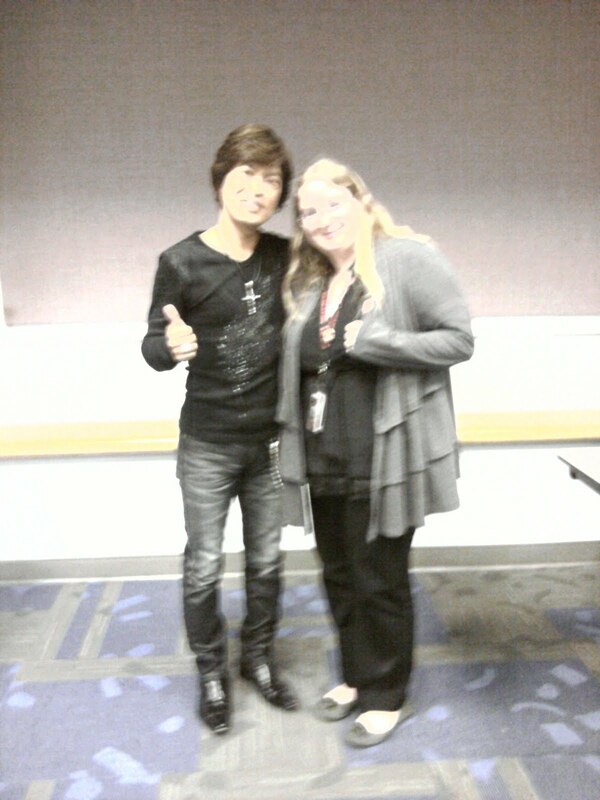 Toru Furuya at Fanime, a special guest post by RyderHiME! I will ask your forgiveness right now for the horrible pictures my phone shot. It’s all I have. To kick off the convention at opening ceremonies on Friday, the Fanime Chair Team presented the Consul General of Japan a symbolic gift of 1000 paper cranes as a representation of our good wishes for Japan after their earthquake and tsunami back in March. After this was a steady flow of our Guests of Honor, which included the band FLOW, singer Halko Momo-i, artist and character designer Mamoru Yokota, and of course, our favorite Tohru Furuya. Furuya-san is first of all a great showman. He knows exactly what his fans are here for, and immediately started throwing out lines from the various characters he has played in his lengthy career. For those that don’t know, Furuya-san is also the voice of Yamucha from Dragonball, Pegasus Seiya from Saint Seiya, and Amuro Ray from the original MS Gundam. It’s safe to say that the fans went wild as he did this. I next saw Furuya-san the next day, not at his first panel, but at the invitation-only GoH meet-and-greet called the Yamaga Party. (Called so because it is usually hosted by one of our regular guests, Hiroyuki Yamaga of the animation studio Gainax, although due to an emergency Yamaga-san could not make the convention this year.) How this worked was that each GoH in attendance had their own table, and the invited fans sat with them for about ten minutes each to ask questions and actually talk with the guest. Furuya-san was the only guest that asked for the names of each fan at his table, and when that happens, you get him asking my friend Mike where he got that Italian Saint Seiya shirt he’s wearing. Which I am sure he wore just for that purpose. Furuya-san’s panel Saturday afternoon was the standard Q&A panel. There were a lot of questions and voice requests from his well known series (mostly Gundam), but I got a few surprises out of him. His favorite role is that of Kyosuke Kasuga from Kimagure Orange Road, which I haven’t seen but happens to be a favorite of some of my older Otaku friends. He also mentioned that his most difficult role was from the Satoshi Kon movie Paprika, where he played the 400+lb Dr. Kosaku Tokita. He said he wasn’t sure he could match his voice to such a large person, but the director said to try and channel his inner child. Apparently his inner child is Amuro Ray, haha. He was also asked about an apparent reunion of the Sailor Moon cast in Japan recently, and if that meant there would be more work on Sailor Moon. He said there may be another reunion in the future, but that he didn’t think there would be much else. The next panel Sunday morning was a bit different. This was also supposed to be a standard Q&A, but boy was it more entertaining. I should have guessed it would be, since a 10 am panel generally means that the die-hard fans are in attendance. 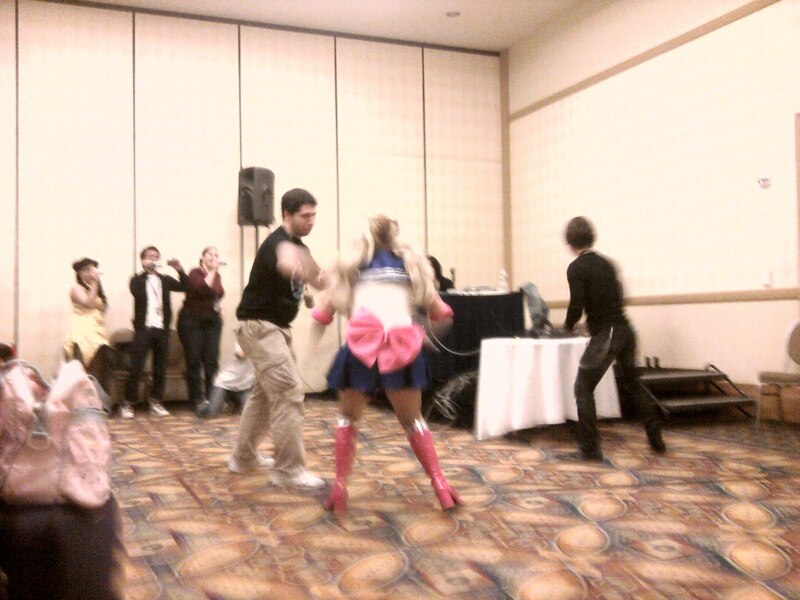 Friends, if there is a Sailor Moon cosplayer in the room, and Furuya-san gets a request to reenact a scene from our favorite series, what you get is a live show in the front of the panel room, complete with bad guy, rose, and “Moon Healing Escalation”. I’ve never had so much fun at a panel. Later on that afternoon, Furuya-san had a special autograph session before he left the convention. He had been selling a Fanime exclusive (at the time) clear file with his photograph, and part of the sales were to go to relief efforts in Japan. If you bought one (or in my case two) you were invited to this special autograph session where he would personalize his autograph specifically for you on the clear file. That didn’t stop people from bringing other things for him to sign. From what I heard from our Guest Relations person, Furuya-san really enjoyed the convention and meeting all his fans here. This makes me hope to see him again in the future. For those of you who couldn’t make it to Fanime, I hope this article made up for it. It’s not the best way to enjoy a convention, but I at least hope I transferred some of the awesome I experienced on to you that read this. 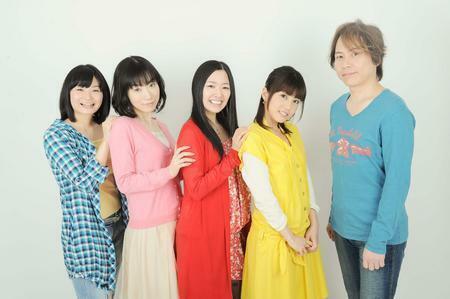 Sailor Moon Anime Seiyuu and Staff Update Spring 2010 – Part 2! ARIA the Origination has a Fiery Presence! Michie Tomizawa (Sailor Mars) can be heard on the upcoming drama CD release which accompanies the popular Aria the Origination series. She plays the character Akamatsu and as of this writing it seems that she only appears on this drama CD and not in the anime. There will be two side stories about the futuristic gondoliers on this release, “Traghetto no Suteki” (Translation: The Nice Traghetto or Ferry) and “Ai Chanto Gondora” (Translation: Ai’s Perfect Gondola). These are described as “nice, tender stories”. The first one is about a visit from an aunt, and the second one is a day trip to take a gondola in for some maintenance. The drama CD will have a limited release on May 26th. Toru Furuya Narrating a Show and Helping Out a Subway Line; His Old Show Being Released Too! One of Toru Furuya’s (Tuxedo Kamen) earlier roles was that of Hoshi Hyuuma in the baseball anime Star of the Giants. Today over 30 years later, all 4 movies are being released in a complete collection. On June 23rd, the “Star of the Giants Complete BOX” will be released and will cost approximately 15,920 Yen (or 169.33 USD). Toru’s vpoce is also narrating Car Graphic TV, a weekly program comparing new cars in Japan. Car Graphic TV is currently being offered as part of TV Asahi’s VOD package through USEN’s N-NEXT service. And finally, Toru’s voice is being used in special cartoons for the Sendai Subway Line! The Subway line has produced some anime shorts to show to children to get them used to the subway and how to use it. See Artemis Represent Russia with an Iron Paw! Well, not really. He is Artemis after all! Yasuhiro Takato reprises his role as Ivan Braginski, the Representative of Russia in the just-released Hetalia video game for the PSP, Gakuen Hetalia Portable. This is a lighthearted RPG that features a new character representing Seychelles, and her quest to put together the perfect party. As of this writing, it is unknown if this game will come here, but we know that the anime is on its way and our readers will be able to hear Yasuhiro’s voice. FUNImation announced a license for Hetalia earlier this year. Shin-Chan Keeps Moving Along With New Movie! Out in Japanese theaters right now is the brand new Crayon Shin-Chan movie, Super-Dimmension! The Storm Called My Bride. Reprising her role as Misae Nohara, the mother of Shin-Chan is Miki Narahashi, better known to Sailor Moon fans as several one-off characters in the show. She played Gigaros in episode 52 (R), Chagama in episode 104 (S), Kotaro in episode 154 (SuperS) and Sonoko Ijuuin in episode 187 (Stars). 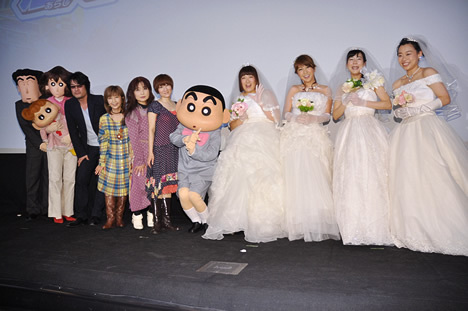 At the premiere of this movie, much fun was had since Shin-chan is shown to be crashing a wedding in the trailers, and there is also a small army of brides shown. One of those brides, is played by newhalf model Ai Haruna, and she showed up with the other stars at the premiere wearing a wedding dress! 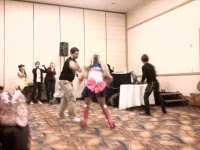 Miki is spotted in this picture with the Shin-Chan kirigumi in the orchid-colored dress and white boots. We hope that in the wake of Yoshito Usui’s death that the show does continue to live on – The Me and I have caught several of the most recent episodes and they strike a great balance between charming and silly. Unshou Ishizuka Inspires Shoko Nakagawa With Role in Full Metal Alchemist: Brotherhood! Unshou Ishizuka (Tetsuro Yoshinogawa/Sailor Chef) once again plays the role of Hohenheim, the father of Edward and Alphonse Elric in the new Full Metal Alchemist: Brotherhood series, but did you know that a certain idol was very inspired by his portrayal of a father to write the show’s current ending theme? She was very excited to finally have the chance to write a song for a show she has been a huge fan of since the day it began, and she also has a special role in the 55th episode airing om May 2nd (right before her birthday on the 5th)! In a new interview, Shoko Nakagawa explains how she wrote the song “Ray of Light” all by herself. She was inspired especially by the relationship that Hohenheim maintained with his sons, even after he had left them for so many years. She also found a similarity in this relationship with another relationship she misses, having her own father around. He passed away when she was only 9 of cancer, and drew a lot from that experience. You can hear it in the song, which we think is one of the most powerful and emotional songs ever written by Shoko. Fans can check out the official music video and the lyrics here. And Another Unshou Sighting With A Hint of Ryotaro! Unshou is also playing the role of Craig Bernstein in the latest Vassalord Drama CD being released. Called Vassalord: The Misery of Addie. Vassalord is a manga about two very eccentric vampires named Charley and Rayflo. Charley can’t control his appetite for blood, and Rayflo is quite the player when solving crimes, stopping at nothing to seduce anyone for information. The two of them fight with each other along with other vampires as they work to solve crimes for the Vatican. Craig is known to be an angry and ruthless man with no respect for the law, he will smoke and use a cell phone wherever he wants. He is even able to talk to the dead! Also playing the leading role of Charley is another Seiyuu, Ryotaro Okaiyu (Tiger’s Eye, Yuuji, Achiral, and George)! This particular drama is based on two chapters of the manga, Chapters 5 & 6 (Misery of Addie and The Trial of Seth) along with two original minidramas, Date at Night and Small Trouble. The manga is in print by Tokyopop, and the drama CD was released on April 21st. And speaking of Ryotaro, he is also going to be the only guy in the room in a brand new video game. In an attempt to appeal to girls, Capcom is launching a special tutorial for Monster Hunter Frontier. The “Frontier Girls” are four actresses that are going to teach Ryotaro how to play the game. There will be a total of 8 of these tutorial episodes that will serve as a guide for beginners, but those who are renowned players will also find these videos funny! Amuro Go! ToFu-san is at it again! Toru Furuya has just been interviewed about his book that he released two months ago called “A Hero’s Voice”. This was posted on Sankei MSN on Friday Night, and focused on general questions about his life, and lots of questions on his legendary role as Ray Amuro in the legendary Gundam series. 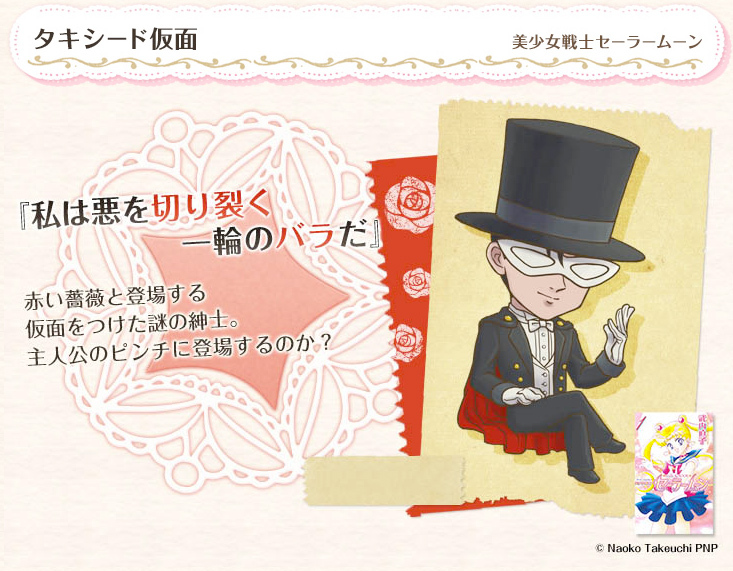 He wasn’t asked (nor did he mention) anything about that other legendary role of his (Tuxedo Mask). ☽ He considers Ray Amuro to be his greatest and best role, because it was his first major role and he was always fighting with himself to do a good job. That was the biggest source of pressure for him when he was recording at the time – not from the director or production staff! Often when he recorded, he had a hard time knowing how to “talk” like Amuro would. He would say lines in his normal voice, and then continue to practice to liken his character’s voice to it! This is also how he figures out how he should breathe for a line. ☽ At the start he found it hard to play Amuro because he wasn’t passionate about too much, just very naive about everything that he did. ☽ He takes supreme care of his throat wherever he is. The first thing he does when he wakes up, and the last thing he does before he goes to bed, are saltwater gargles for his throat. He always keeps throat medicines and lozenges handy with him when he goes to record. He doesn’t think too much about “throat friendly” meals, however he cannot overcome his sweet tooth! ☽ In the beginning, he thought that a lot of anime roles were portrayed very carelessly by actors. The first role that he mentions in the article is that of Hoshi Hyuuma in the baseball anime Star of the Giants. At the time there were not very many voices who could do Male heroes, and child hero voices were often assigned to women because their voices were softer. He was a pioneer for male child hero voices back when this series aired! He expressed his gratitude for everyone’s patience on that series. It took him a lot of trying to get his voice just right for a younger character! ☽ Now he feels that his career is booming, and he tries not to strain himself too much when he records. ☽ He speaks very fondly of Ray Amuro – and that it is the only role he would want to return to again and again since it has touched him so much! He remembers the death of Matilda, his character’s dream girl, who died protecting him. It was such a powerful and sad scene, that now every time he has to perform a scene where a character is crying, he always says “Matilda, Matilda” a few times. If he is not crying by then, he does not consider this to be a good thing. To concentrate and have the feelings of his character is the most important thing he needs to portray Amuro.